The invitation said that there would be food and there would be wine. I am not sure I read that much further before I replied that I would love to attend. 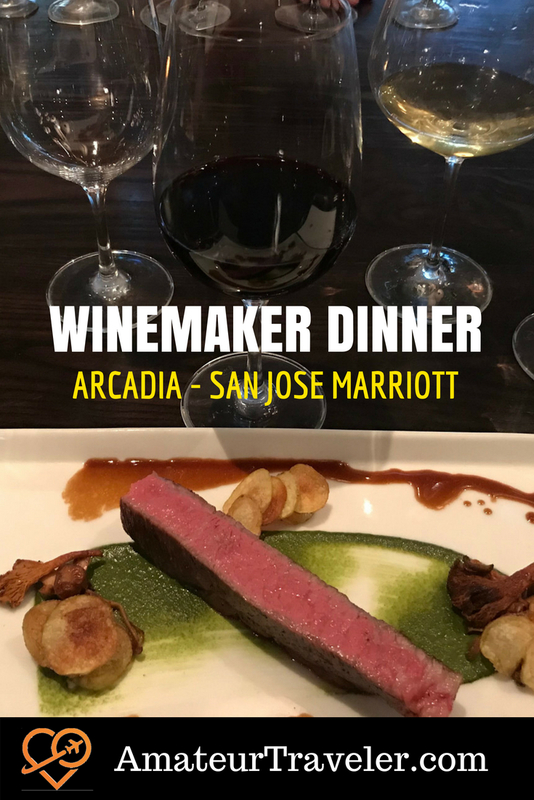 The invitation was for the first of a series of winemaker dinners at the Arcadia restaurant of the Marriott in downtown San Jose. I was not familiar with Arcadia. I had been to a function or two at the San Jose Marriott there at the south end of the Plaza de César Chávez, but had somehow missed that they had a steakhouse, let alone that they have a great steakhouse. Award winning Chef Michael Mina’s name is on the full name of the restaurant: “Arcadia, a modern American steakhouse, by Michael Mina”. Perhaps the first clue that this would be a memorable evening was the pre-dinner cocktails. They were offering a choice of two smoked cocktails on the cocktail menu. 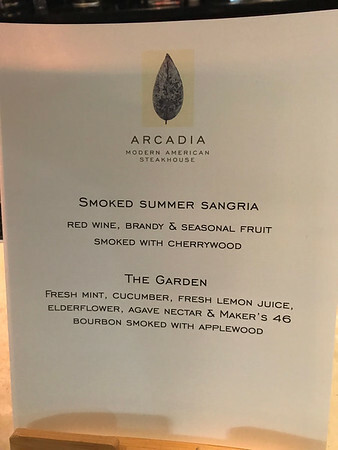 One was a Smoked Summer Sangria but I ordered The Garden (mint, cucumber, lemon juice, elderflower, agave nectar, and Maker’s 46 Bourbon). It was a tasty showy drink that is generally available at the bar this summer. It was also the first indication that driving to this event was a bad idea. This is an event that you should book along with a room at the hotel. 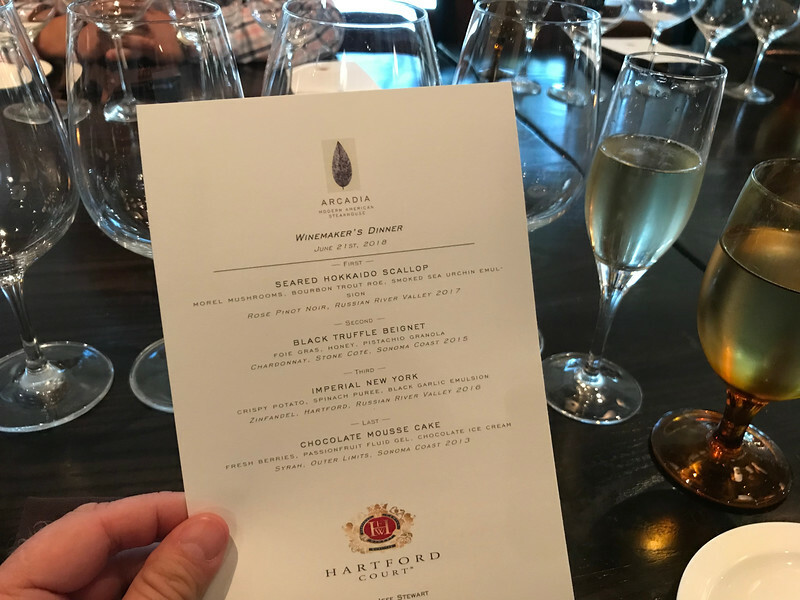 The winemaker for this inaugural dinner was Jeff Stewart from Hartford Court. Stewart got into wine making in part because his high school chemistry teacher had attended U.C. Davis and regretted not getting into wine making. Davis seemed like a good college choice to the younger version of Stewart in part because it was closer to his home near Tahoe and skiing. A study abroad opportunity as a 16 year old in France also opened his eyes to wine. While friends at home might have tried to sneak a drink of wine because it was alcohol, his French hosting family introduced him to wine “as food”, as an important part of the meal. The local executive chef is Paul Rohadfox who has been at Arcadia for 2 years. Rohadfox learned his trade in the U.S. Marine Corps and refined it at the Culinary Institute of America in Hyde Park. 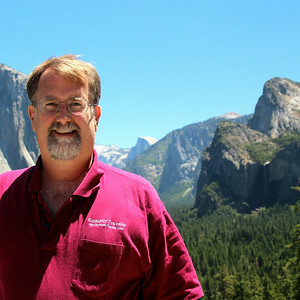 Local foodies may know him for his previous work as chef de cuisine at the Hotel Valencia in San Jose. The way a winemaker dinner works is that the winemaker, Stewart in this case, brings over a selection of wine and then the chef and crew try a number of the wines and come up with a menu. Rohadfox said that they worked on the menu for a week, making and refining the various dishes about 30 different times. I am sure he needed some help tasting all the variations but as of yet I am unclear how I can get a job like that. The way Stewart described it is that at the point that the wine is picked the winemaker’s job is done. 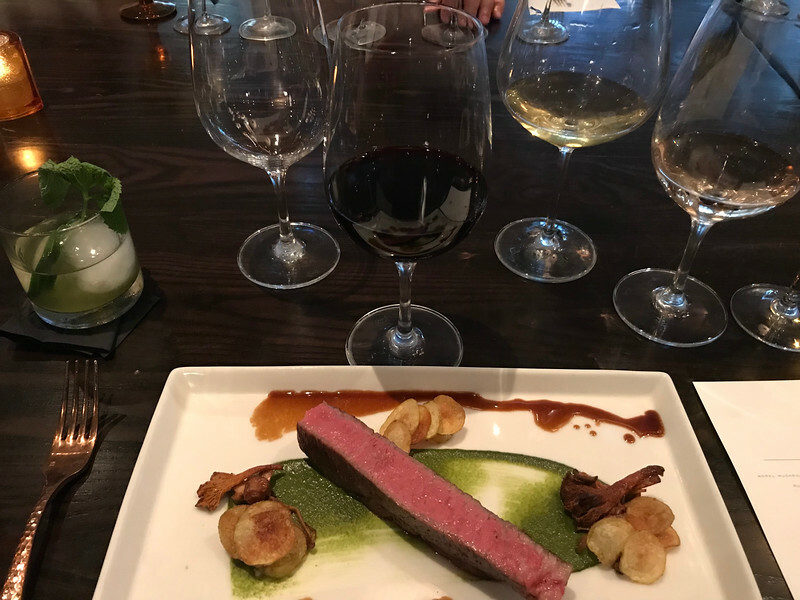 “Chef can make pairings that make the wine taste better”. We all know that in principle but it is fascinating seeing it in action. 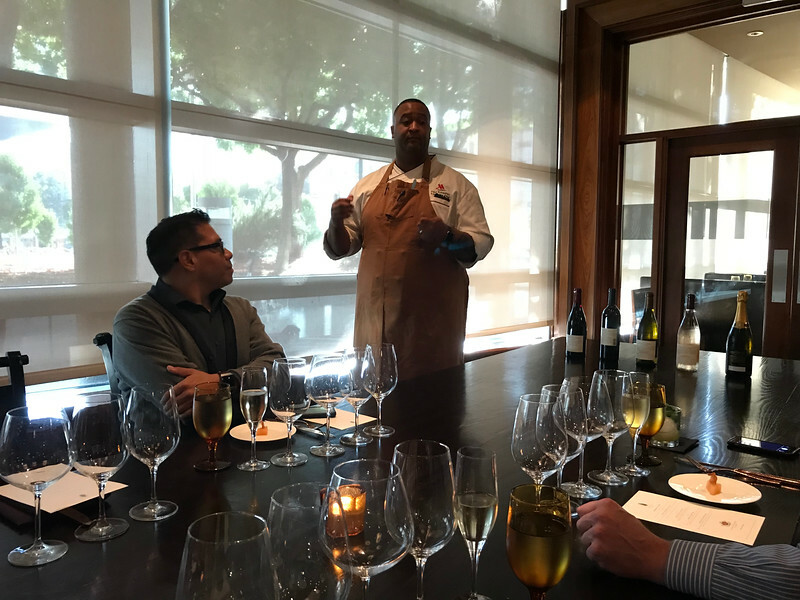 For each course the winemaker would introduce the wine and then the chef would give us some idea behind the pairing choice. We started with an amuse-bouche an a French champagne. Hartford Court does not currently sell a sparkling wine although we did learn that one is coming. They just disgorged their first sparkling wine the day of the dinner. They will only make 20 cases of this 2007 Chardonnay blanc de blanc. The first course was a wonderful scallop, which is saying something from a guy who almost always turns down the seafood course. With morel mushrooms, bourbon infused trout roe and a smoked sea urchin emulsion, there was a lot going on around this otherwise very simple dish. My wife Joan, particularly enjoyed the “pop” the bourbon gave to the trout roe. 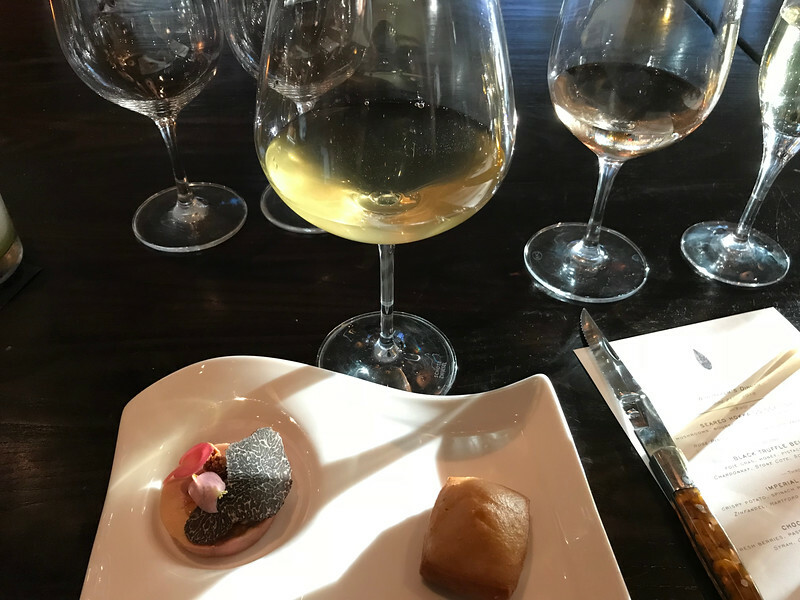 The first course was paired with a 2017 Rose Pinot Noir from the Fog Dance vineyard in the Russian River Valley. 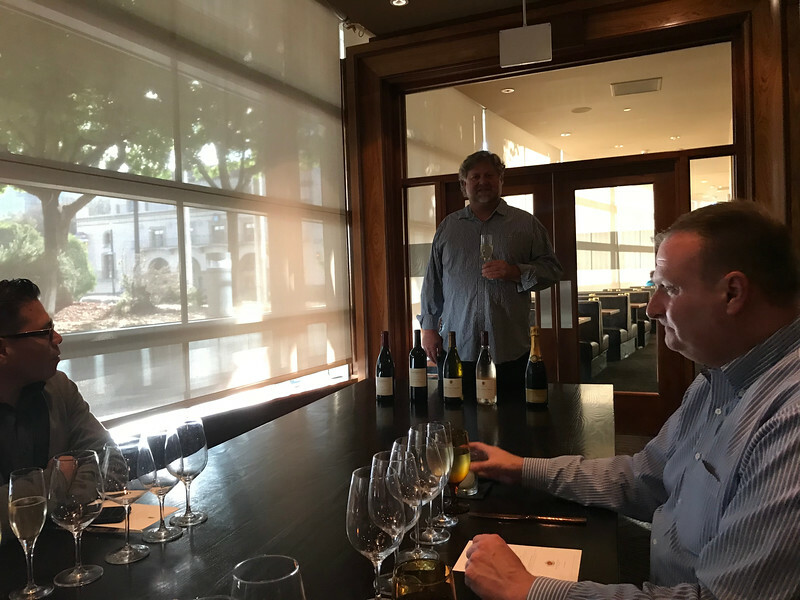 Stewart admitted that “the reason we make this wine is we like to drink it at the winery”. In practical terms they lose money on each bottle by selling it as a $30 rose when they could sell it as a $70 bottle of Pinot. It illustrates one of the reasons he told us he loves working at Hartford Court. To me the word “beignet” makes me think of Cafe Du Monde in New Orleans and literally eating bent over so you don’t get powered sugar on yourself. I can’t say I usually associate a beignet with foie gras, honey and pistachio granola. It was an interesting texture combination as well as flavor combination. 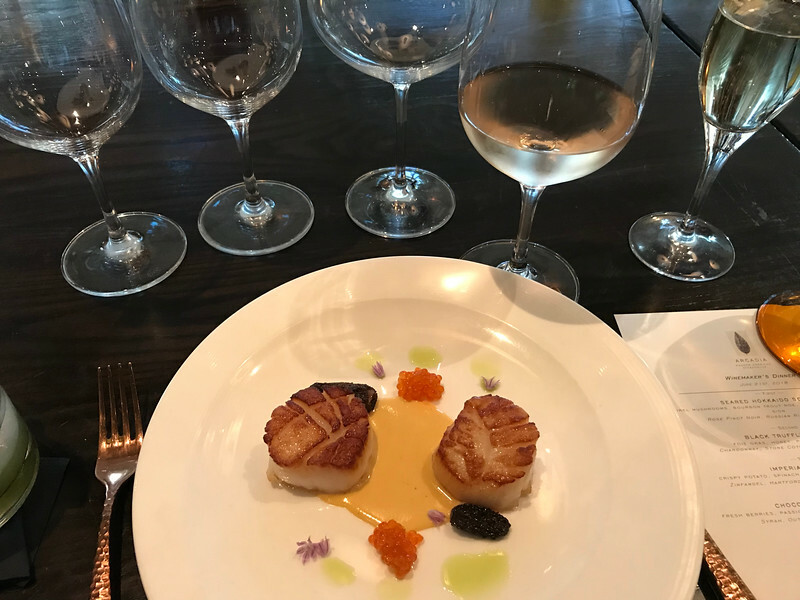 This course was paired with a 2014 Chardonnay from the Stone Côte vineyard which is part of the well-known Durrell Vineyard within the cool Sonoma Coast AVA. The vines in this vineyard are 24 years old providing a greater variety or flavors or “field blend”. 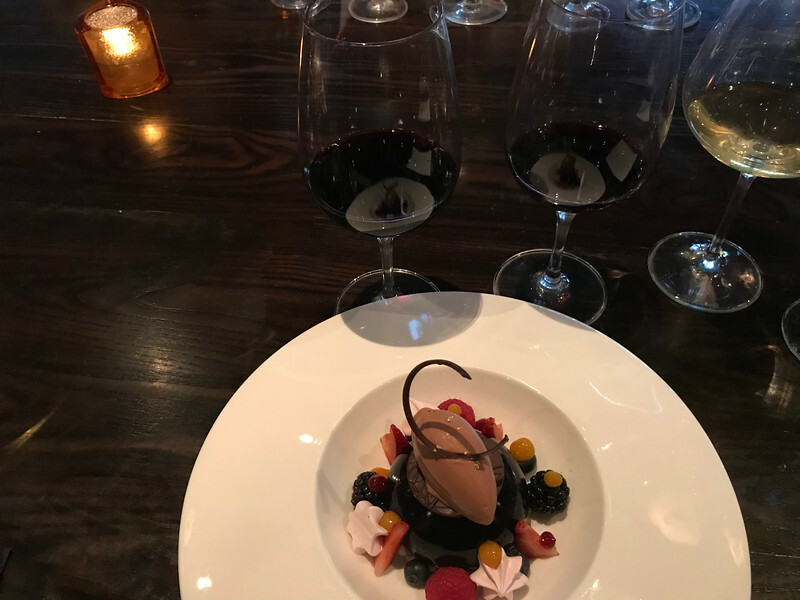 The dessert was a chocolate mousse cake which over simplifies this creation from pastry chef Carlos Gudino which included fresh berries, passion fruit fluid gel, and chocolate ice cream. I had been sending out social media updates all evening with pictures of smokey drinks, steak, wine, etc. The picture of the dessert was captured “how much do you hate me now”. The dinner was, in general, a “life is good, isn’t it” kind of moment. This was yet another reminder. This final course was paired with a 2103 Outer Limits Syrah from the Sonoma Coast. This was my favorite pairing of evening. I have never met a Syrah I didn’t like, but tasting the wine before the chocolate and after was an eye opening experience. I liked the Syrah before, I loved it after. It is one things to understand that wine can be improved with the right food and that food can be improved with the right wine. It is quite another thing to walk through the experience with the direction of a great chef and a great winemaker. It can make one glad to be alive. More winemaker dinners at Arcadia are planned but the schedule is not yet published. 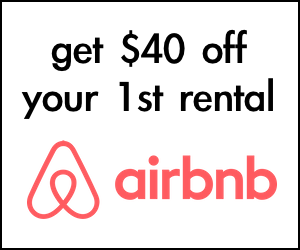 Contact the San Jose Marriott and Arcadia to learn more.